Virtual therapy with relaxing auditory, visual, and tactile stimuli which help patients cope with negative emotions. 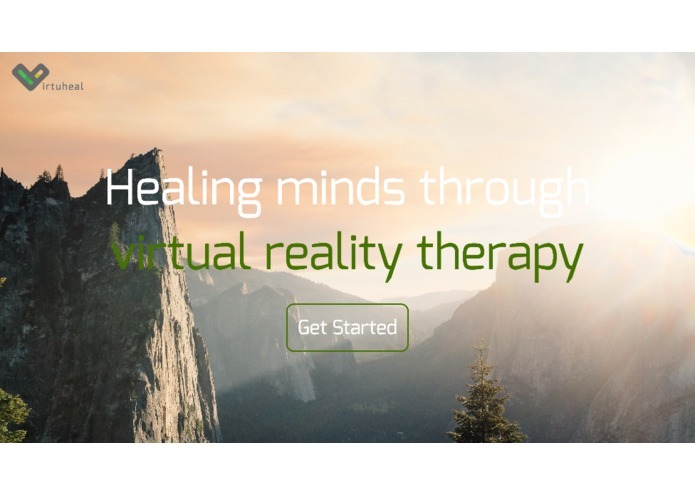 Virtuheal is committed to helping others and healing minds. This is a part of the user interface which offers patients a variety of treatments at differing levels of intensity. Just one snapshot of our virtual therapy sessions. We started with a simple goal: to help people. Although we had many ideas, we couldn't settle on one that had the impact we were looking for, in the health space we were concerned with, and that helped the most people at the smallest cost. As we talked about project ideas, one thing led to another and we stated talking about our college experience, and one thing was universal among the whole team. We were stressed. That got us thinking about mental health on the whole, and the fact that therapy sessions can cost $50 to $240 an hour on average! The truth is, treatment for mental health is out of reach for many people, so we wanted to create something that strove to offer mini therapy sessions at the lowest possible cost. Virtuheal was born. 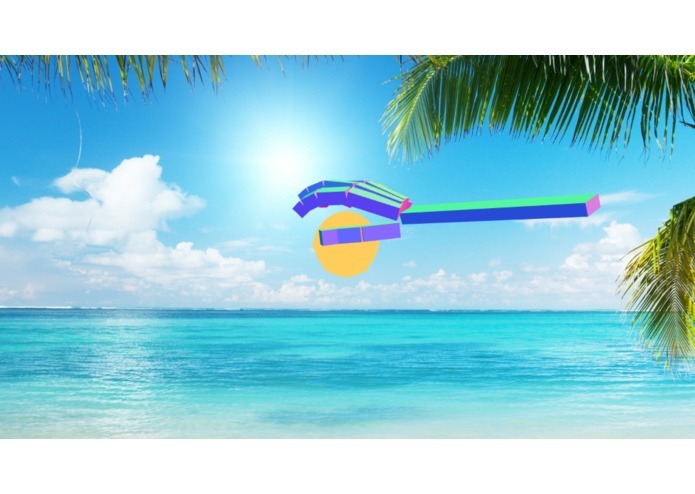 Virtuheal has many functions, but primarily it creates a virtual world that patients can interact with in soothing ways. 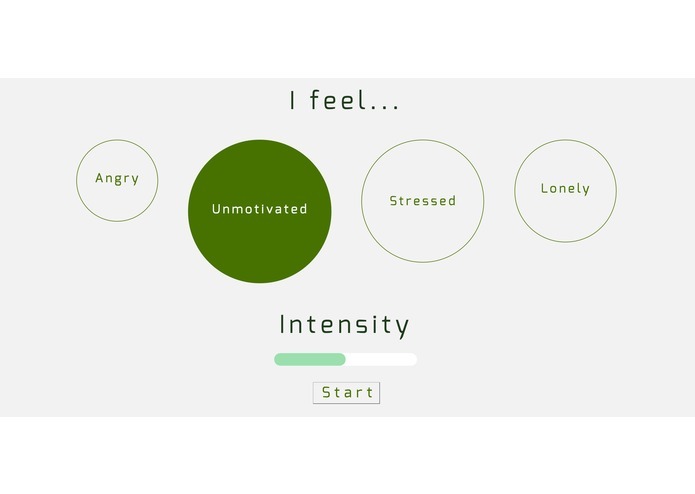 It includes functionality which allows users to pick the intensity of their therapy session, provide feedback on how they were feeling and why they reached out for therapy, and most importantly a live peer therapy function which connects patients to other therapists and patients to help them cope in the moment. Virtuheal also has a tactile aspect, which provides rhythmic vibrations into the palm based on the intensity of therapy and emotion of the patient, a proven technique to add physical accompaniment to the visual stimuli. As well, Virtuheal collects heart-beat data on the patient to help provide information to the patient and to their live therapist in gauging their mood and level of anxiety. Wow, there were many! The leap-motion library had almost no documentation, and in many places there was no documentation for some function or simply the statement that "the software is a work in progress, please be patient." The vibration motor broke at about 1:00 Sunday morning, meaning that two teammates had to run to CVS and break open vibrating toothbrushes to steal their vibration motors (yup, you read that right). Regardless of all the challenges, we had a great time and are excited to share Virtuheal with the world! In the future, we hope to expand the number of scenarios we can offer to patients. Clean up and minimize the bulky physical glove. increase the functionality and graphics of the virtual world, and continue to improve and tailor the therapeutic aspects of Virtuheal.